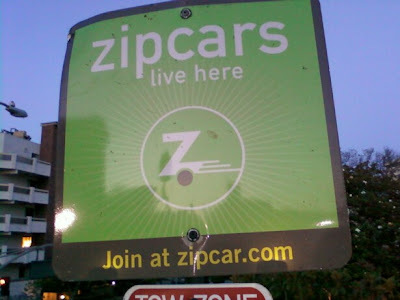 After my first Zipcar experience I am completely sold on the car sharing concept as a green alternative to owning a vehicle or renting a gas-guzzler. First I made my reservation online in about 5 minutes. There were three cars available during the time slot I wanted so I chose the Toyota Prius. I reserved the Honda Insight Hybrid for some errands I'm running tomorrow. I then took the bus to Westwood and picked up my wheels at a public parking lot on Hilgard Avenue. 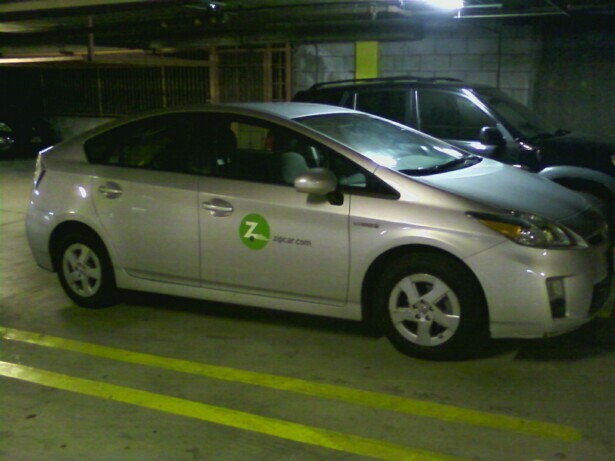 The Prius was waiting for me at one of Zipcar's designated spaces. 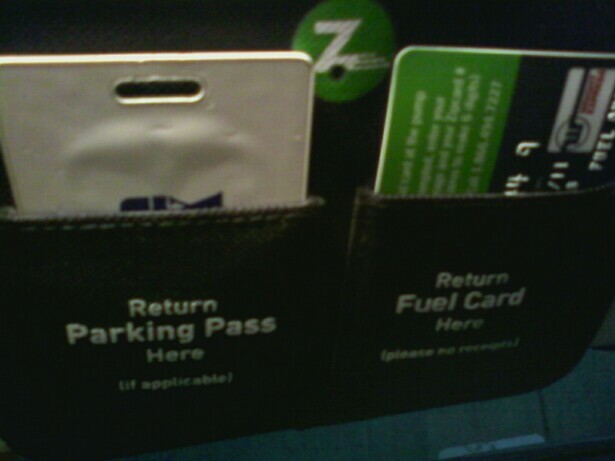 I placed my Zipcar plastic card over the sensor on the upper right of the windshield and the doors unlocked and I was in. 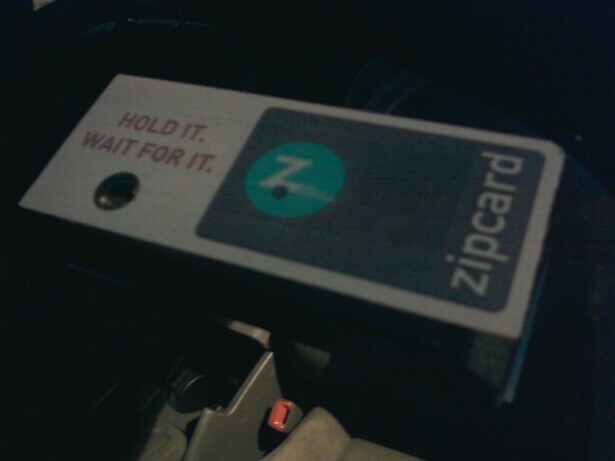 No key is required for the Prius. You just press down on the brake pad and push the power button and you are good to go. There was a half-tank of gas already and I ran the car in eco mode instead of power mode which uses mostly the battery instead of gas so I had no problem returning the car on the minimum 1/4 tank of fuel. 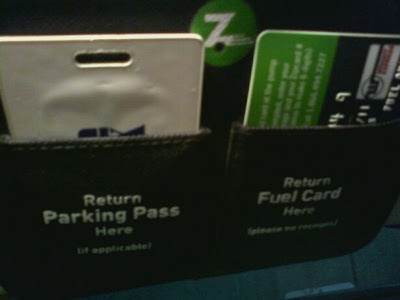 Inside of the driver's side sun visor was a parking pass which I didn't need and a free gas card which of course I also didn't need. The first 180 miles driven per day are free so I came way under that limit after running my errands, The only issue I encountered was not being able to get an extension past my deadline because someone else had reserved the car. You have to pay a penalty of $50 for a late return. The total cost for the day was $72 which is reasonable. All in all I'd recommend a Zipcar to anyone wants a cheaper and greener alternative to owning a car or truck.